Committed to practicing what we preach, TFS is a local, mission driven company dedicated to supporting our community and environment. Technicians for Sustainability (TFS) is an installer of solar photovoltaic and solar hot water heating for residential and commercial projects. 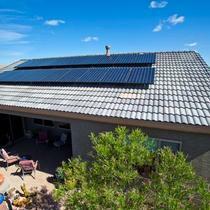 TFS offers the following brands: SunPower, SMA, Schott Solar, Enphase Energy, PV Powered, Fronius. "Best install experience with TFS"
We had solar installed by Technicians For Sustainability this summer and they were the greatest team to work with. The TFS staff definitely walk the talk and made the installation and education process as easy as possible for us. 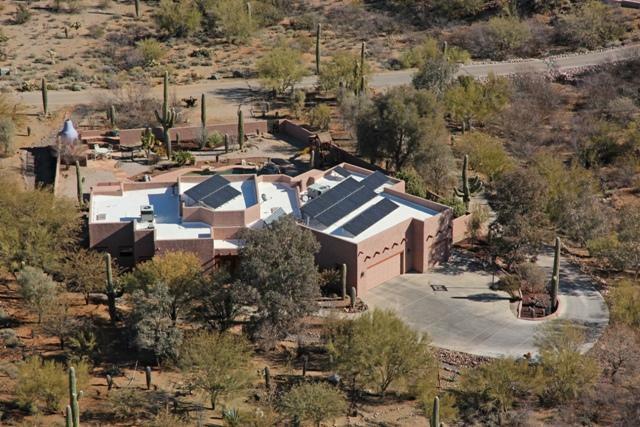 We've always wanted to use solar to do our part to help the environment. 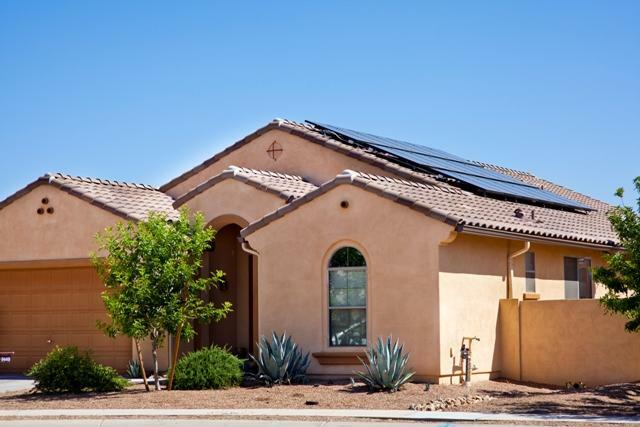 With the information shared with us by TFS, we feel like we know so much more now about why solar is such a good option and we're even happier to have chosen to go the solar route. The installation group led by Derek were incredible, keeping us informed every step of the way, working out creative ways to install the equipment in the best places, quietly going about their work, always smiling and offering a hello. Just the best group we've had working at our home since we moved to Tucson last year. We were also delighted with the others we worked with directly, Tamarack Little and Mike K. We so appreciated their excellent work and passion for their jobs and solar energy. We are grateful to have found TFS and look forward to working with them in the future with our current solar system and any future needs. They are a great part of Tucson. Entire staff from the time we called to schedule an appointment for an estimate to the time we had our "how to understand our Data Monitoring" was outstanding. All elements were explained clearly and had backup documentation. At no point did we feel pressured to buy anything. There was always someone available to answer questions. Excellent experience. We highly recommend TFS and will continue to support them. "They will make it right"
As long as you are willing to be patient, sooner or later they will make it right and you will get a great install with top quality equipment and great workmanship. Exceptional - that's the first word that comes to mind when we think of Technicians for Sustainability. They met and exceeded our expectations every step of the way. From proposal to installation - the TFS team is professional, responsive and helpful in navigating the path once we'd decided to go solar. Over the course of our installation each and every encounter with a member of the TFS team was pleasurable. We are excited to be working with experts in the industry, that really know their business, and are so well respected in the community. 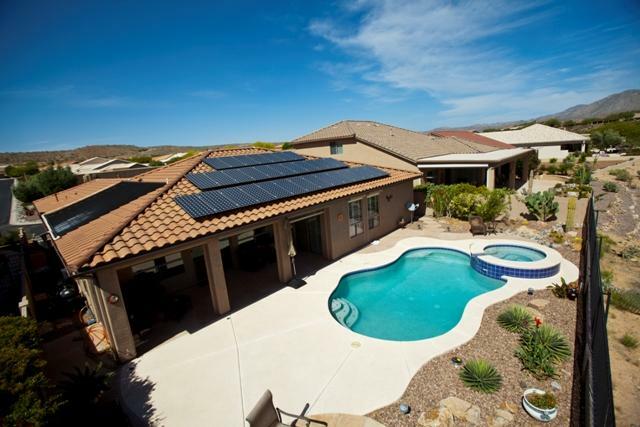 TFS exceeded our expectations, our system is low profile, does not detract from the appearance of our home and provided all of the power we needed last year, No utility bill except small monthly TEP fee. Questions were answered in easy to understand manner. Employees are dedicated to caring for the environment. When we decided that it was at last time to go solar, our first stop was the internet. During our exploration of various websites, we were struck by the clear commitment TFS employees share for sustainability and community involvement. 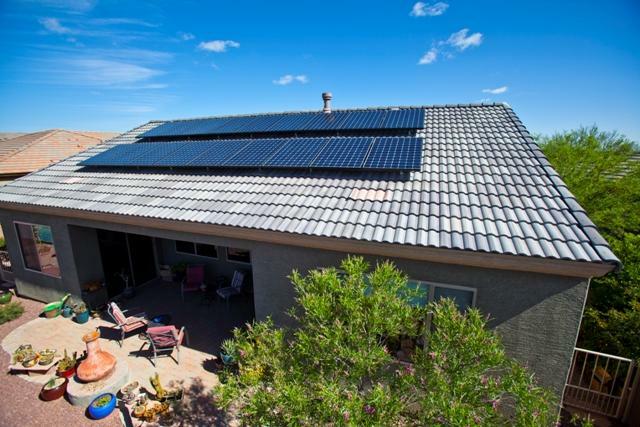 Naturally, we contacted several companies for information and quotes, but we felt most confident about our choice to purchase solar after meeting with our TFS representative. Not only did he take the time to thoroughly educate us about photovoltaic systems and answer all of our questions, but his knowledge of all aspects of the process of going solar convinced us that TFS knows its business. In the end, while the competitive pricing made TFS a top candidate, what mattered most to us was choosing a local, mission-driven company whose members live into the values we, ourselves, strive to achieve as we look to lessen our impact on the environment we treasure. And we were not disappointed! Everyone at TFS is friendly, responsive, helpful, and competent. Our PV system was installed within weeks of placing our order, and while it took forever for the power company to do their part, TFS helped us navigate the process until our switch-over. 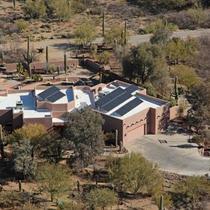 We are operating, as promised, at net-zero! Thank you Technicians For Sustainability!! We recently utilized Technicians For Sustainability to install solar panels on our roof and we are thrilled with the decision to work with them. Everyone at TFS was wonderful to work with throughout the entire process. They are an incredibly professional and passionate company and they take great pride in their work. We would highly suggest TFS for anyone who is interested in clean energy solutions and working with them was a pleasure. Thank you TFS! Technicians For Sustainability (TFS) was the authorized dealer for our recent install of a leased photovoltaic system from SunPower. We found all of TFS's people to be consistently friendly, helpful, professional, and knowledgeable. They clearly take pride in their work, and the quality shows. We're paying the same long-term rate as folks pay for SolarCity, but we get some of the highest-quality panels on the market instead of commodity Chinese panels and we got to work with a team of motivated people from a local company instead of cookie-cutter installers from a corporate giant. 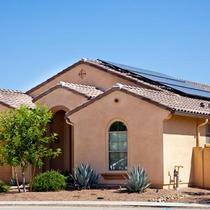 I would highly recommend TFS to anyone in or near Tucson looking to go solar. These guys know what they are doing and they actually care about what they are doing. The sales team actually went on my roof to layout the system before he gave me a bid. "TFS was great - highly recommended!" Our experience with TFS was great. We had another solar company come to our house and they basically told us that solar would work. Dave with TFS came to our house and worked up a creative solution and walked us through exactly what we could expect. The installation crews were super. They worked through the challenges of dealing with a 1930 house that's seen multiple electrical upgrades and went above and beyond to make it work. As a bike commuter, I loved seeing them arrive by bike most days - at the end of the job they left everything clean and better than before. Top notch experience all the way around. TFS is an amazing Company.  Their quote was way better than any other I received, and they installed quicker and with great customer service. 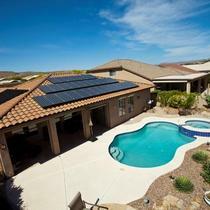 I have not had to pay electric bills for 15 months, and I love my solar system. They were absolutely amazing, and have great customer service. I can access info about how my solar system is doing at any time online, from anywhere, and it is doing great! Absolutely the best company!